Wayne New Jersey is located in the heart of Passaic County, just 20 miles from midtown Manhattan. With slightly more than 25 square miles of space the population of Wayne is close to 54,700 people as of the last census. The township was formed in 1847 and is rich in history. An active lifestyle is a part of this history and today Elite Spine and Sports Care offers active residents the opportunity to capitalize on proper body mechanics through Wayne New Jersey Physical Therapy & Rehabilitation including Wayne NJ Chiropractic services. The township of Wayne was named after Anthony Wayne, a general in the American revolutionary War. Once a bustling farming community that grew a variety of produce Wayne became a vacation spot for wealthy New Yorkers when the railroad was built. One historical structure of significance is the Dey Mansion, a historic Georgian style mansion built in the mid 1700s. Today Wayne NJ is home to many large corporations as well as William Paterson University. Wayne Township offers a healthy lifestyle for its residents. High Mountain Park Preserve is a cornerstone of the Wayne community, a place where nature can be enjoyed and people can exercise in the outdoors. In addition Wayne is home to many lakes. The open space and water environments here make for great activity in the outdoors. From an athletic perspective Wayne has a few claims to fame, including being the home of the 1970 Little League World Series Champions. In addition, a piece of horse racing trivia reveals that the Preakness Stakes was named after a race horse from Wayne. World renowned figure skaters Johnny Weir and Stéphane Lambiel train in Wayne ice rink the Ice Vault, where local ice hockey teams also train and compete, including the William Paterson University ice hockey team. In addition, you will find great golf at the Preakness Hills Country Club. Wayne borders 11 NJ municipalities in Passaic, Essex, Morris and Bergen Counties. 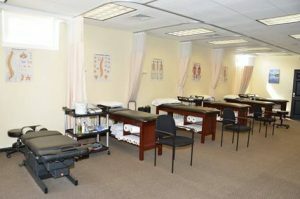 Totowa (Home of Elite Spine & Sports Care). Athletes in Wayne NJ benefit greatly from Elite Spine and Sports Care of Totowa, where they can benefit from preventative exercises as well as treatment for sports injuries. Elite Spine and Sports Care offers residents of Wayne a variety of services including massage, wayne NJ chiropractic care, therapeutic taping, and pre-operative conditioning. If you have recently been injured or undergone surgery we can help you with your rehabilitation, offering extensive physical therapy and exercises intended to help you heal and return to peak condition. Our goal is to help residents of Wayne New Jersey live and active and healthy lifestyle through our Wayne New Jersey Physical Therapy and rehabilitation programs including Wayne NJ Chiropractic services.